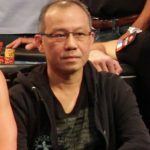 The defense in the Paul Phua illegal sports betting case have motioned to have evidence dismissed, saying it was gathered illegally by the FBI. 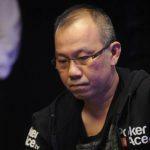 Phua, a Malaysian poker player well-known on the high-stakes circuit, was arrested in June, along with seven men and one woman who are accused of operating an illegal World Cup sports betting operation out of three luxury suites at Caesars Palace in Las Vegas. The defense claims that the FBI acted in an improper manner by first turning off the Internet to the suites and then posing as repair technicians in order to get inside and collect evidence in the case which ultimately led to the arrests. According to US law, authorities must either obtain a search warrant or suspects must waive their constitutional protections against unreasonable searches. Evidence which is deemed to have been collected improperly should not be submitted at trial. Defense lawyers said that the FBI orchestrated the undercover operation against the advice of assistant US Attorney Kimberley Frayn, who apparently told them that it was a “consent issue,” according to a conversation recorded by an investigator for Caesars. Court documents show staff at Caesars becoming suspicious last summer, when Phua, or one of his associates, asked them to install an unusually large amount of technical equipment in the suites, and asked for extra bandwidth on top the normal WiFi access. Employees also observed computer monitors that appeared to be showing odds of World Cup matches, while large TV screens were tuned in to World Cup soccer games. Caesars tipped off the FBI, which then monitored activity in the suites throughout the month. 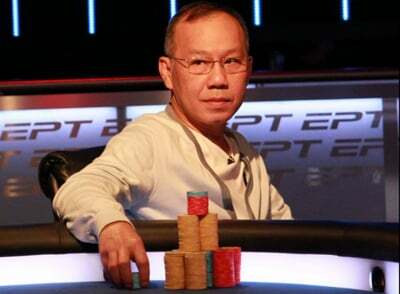 Phua and his cronies were raided on July 9, with gambling records, computer equipment, and other evidence seized. 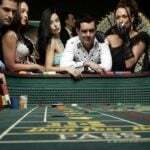 The Gambling Control Board described the scene at the suites as a kind of “high-tech wire room,” where illegal World Cup bets were being monitored by computers remotely linked to others computers overseas. All eight defendants have been charged with at least one count of the illegal transmission of wagering information and of operating an illegal gambling business. But whether or not the tactics employed by the FBI will hold up at trial is controversial to say the least. “They were trying everything they could to get inside without a warrant,” said Phua team defense attorney Thomas Goldstein. Former federal prosecutor Mark Rasch told the Associated Press that the video evidence taken by the FBI during the ploy would probably have to be dismissed. “Police are allowed to use a certain kind of subterfuge, but what they can’t do is create a certain kind of circumstance,” he said. 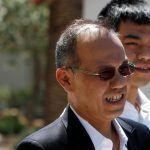 Phua, who the FBI claims has links to Chinese organized crime, had bail set at $2 million following his arrest, while a $48 million private jet was held as collateral. Bail was paid by fellow poker pros Phil Ivey and Andrew Robl, who have spoken out in defense of their friend. Natalie Collins, a spokesperson for the US Attorney’s Office, said that prosecutors had been made aware of the defense’s complaint, but declined to comment in advance of the pending trial. The case is one of several that have appeared over the past month that have raised doubts over FBI evidence gathering practices. In one such case, the FBI sent a fake news story about a bomb threat to a suspect in order to get him to click a link, thus revealing his location to then. The Associated Press, to whom the story was attributed, complained that the tactic was “unacceptable” and that it undermined its credibility.